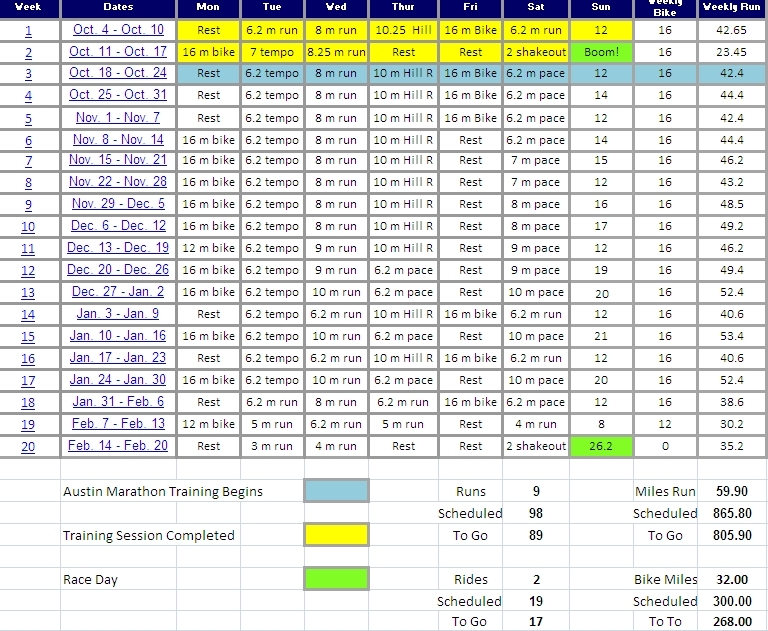 As July kicks off and many runners are starting to build their base mileage for Fall Marathon Training, I thought I would review two recent additions to my running shoe cadre this week. One high-mileage, neutral trainer – The Mizuno Wave Rider 15 and one lighter trainer the Saucony Ride 5. Both shoes have been recently released and represent changes to the previous versions of the Wave Rider and Ride aimed at increased comfort and responsiveness. I find shoe reviews the most challenging product reviews to write as making a recommendation for the proper running shoe is qutie difficult. There simply is no “best” running shoe out there for everyone. Each individual runner’s foot strike, weekly mileage, years training, body composition, weight and injury history all play a key role in placing an athlete in the best possible footwear for them. That is the key point, FOR THEM. By no way are the reviews this week an indication that you should rush right out and purchase a pair of Wave Riders or Rides from an online website, lace ‘em up and head out for a 10-miler. The best shopping strategy is and always will be visiting your local running specialty store, being fitted for a pair of shoes by a professional after running on a treadmill for gait analysis and then trying on multiple pairs of shoes. But if you are like me and have gone through that process a few times, you might be able to narrow down your shoe choices a bit in advance and zero in on a couple of options. If that is the case, then today’s review of the Mizuno Wave Rider 15 and Thursday’s review of the Saucony Ride 5 will prove to be helpful. At least I hope that they are. I have logged over 100 miles in each pair of shoes, and feel like I have a good feel for their comfort, support and responsiveness. 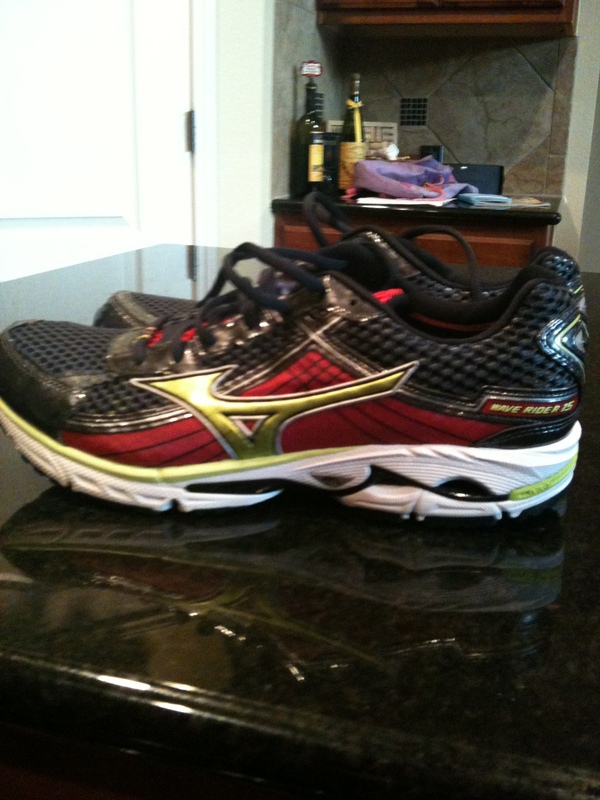 Now in its 15th iteration, the Mizuno Wave Rider has been a “go-to shoe” for many a marathoner over the years. It is a moderately weighted trainer that can stand up to high mileage training, offering cushioned support for the Neutral runner and is a very durable distance shoe. As in most things, if you are not getting better, you are getting worse as your competitors are always improving. Mizuno takes this seriously and although the shoe has been very popular and has been around for well over a decade, they are still listening to customer feedback and making improvements to their flagship trainer. Many runners complained that the Wave Rider 14 was a bit too inflexible in the midsole and had a high rear heal collar that irritated the back of the runner’s foot. Mizuno changed the fit and feel to address those concerns and seems to have returned the Wave Rider 15 to the same type of comfort Wave Rider advocates had grown accustomed to over the years. The fit of the Wave Rider 15 is very comfortable and true to size. I did not need to go up a half-size to accommodate my toes in the front of the shoe like I do in some models. The toe box is roomy. The shoe fits comfortably and the overlays lend support to the upper but are not restricting at all. The upper features a standard lace pattern and cushioned tongue. The rest of the upper is very “minimalist feeling” with open mesh to keep your feet cool and decrease the weight of the shoe. But the areas where you want to feel “comfort”, namely the tongue and lace areas deliver a secure yet comfortable fit. This is the bread and butter for the Wave Runner as the midsole continues to feature their patented Wave Technology which provides a very smooth transition from heel to toe. The shoe also features an extended wave plate through the mid foot and almost up to the metatarsals of the foot. While this improves the ride of the shoe it does add some rigidity in the mid foot area. The Wave Rider 15 is not a lightweight, responsive, race flat feeling shoe that is simply bulked up a bit to be used as a trainer. This shoe is designed as an everyday/high-mileage trainer and it performs as such. It features a 12 mm heel to toe drop – giving the sensation that you are running close to the road, but enough of a cushioned heel to take downhills comfortably and feel like you have plenty of support as mile 12 stretches to mile 13, 14 and 15. One feature I like in this shoe is the tread pattern and large open area in the bottom of the heel tread. After miles and miles of crushed stone and granite here in Austin the Mizuno Wave Rider 15 simply does not pick up rocks on the trail. However the grip pattern holds true and steady on damp/wet roads providing great traction and support. I find myself looking forward to lacing up my Wave Rider 15’s on Wednesday for my mid-week medium long run (10-12 miles) and my Sunday long run (16+). It is not the shoe that I grab on Tuesdays for up-tempo workouts or on Thursday’s for Hill Repeats as that is not the type of workout where this shoe thrives. But for longer, steady-state runs where comfort and decreased chance of injury are the key goals – the Mizuno Wave Rider 15 delivers and delivers in a big way. Happy Running guys! Stop back later this week for a review of the Saucony Ride 5. 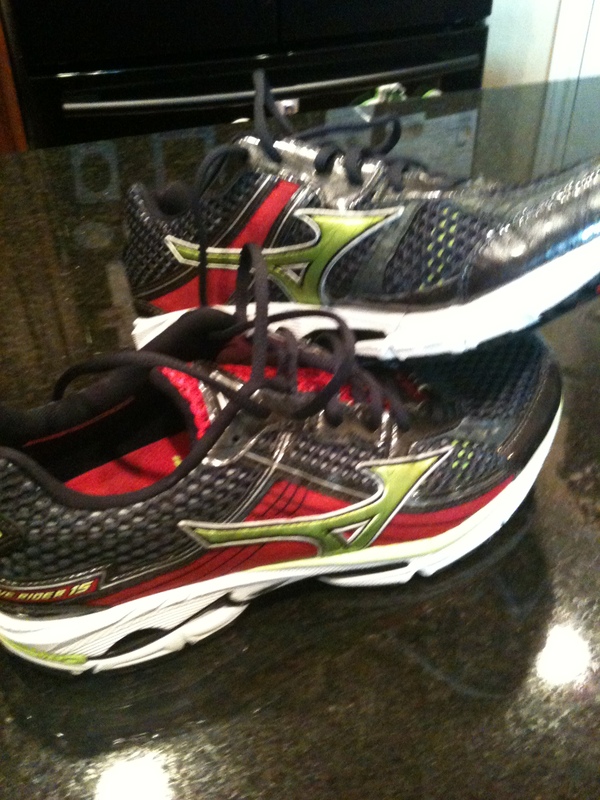 If you are looking for a lighter weight shoe for those zoom, zoom workouts – I think you’ll “enjoy the Ride” on Thursday. Spot-on. I’ve love my new Riders, but they are not racing shoes. As a guy continuing my quest to fend off nagging calf injuries, these shoes have been great. After making my way the world of minimal shoes, I never thought I would go back to this style. Getting injured has been eye-opening. Happy running bud! Hi Mike! Great to hear from you my man! I’m really starting to think that you really have to have 2-3 different trainers for specificity if you are balancing your workouts properly to get faster/stronger and the key point, stay healthy! Love the Mizuno’s for my long stuff. Really a solid shoe.